Explanation: Astronomers turn detectives when trying to figure out the cause of startling sights like NGC 1316. 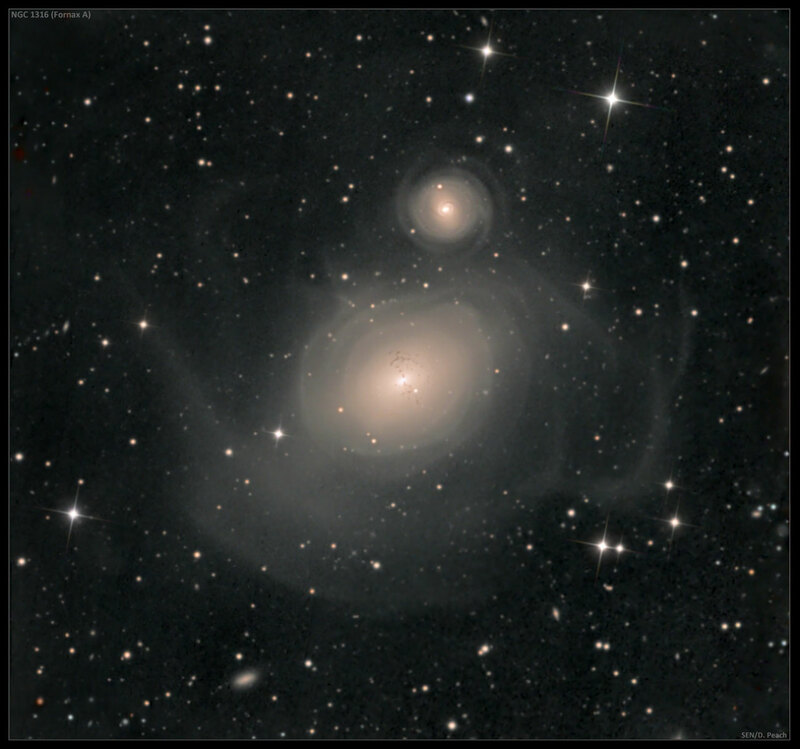 Their investigation indicates that NGC 1316 is an enormous elliptical galaxy that started, about 100 million years ago, to devour a smaller spiral galaxy neighbour, NGC 1317, just above it. Supporting evidence includes the dark dust lanes characteristic of a spiral galaxy, and faint swirls and shells of stars and gas visible in this wide and deep image. One thing that remains unexplained is the unusually small globular star clusters, seen as faint dots on the image. 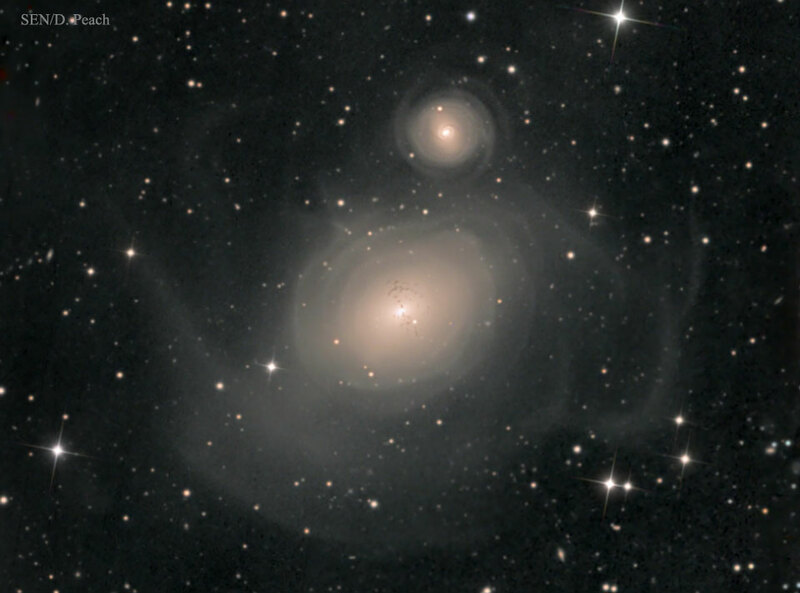 Most elliptical galaxies have more and brighter globular clusters than NGC 1316. Yet the observed globulars are too old to have been created by the recent spiral collision. One hypothesis is that these globulars survive from an even earlier galaxy that was subsumed into NGC 1316. Another surprising attribute of NGC 1316, also known as Fornax A, is its giant lobes of gas that glow brightly in radio waves.